This review is on the Australian based Centrebet bookmaker that is licensed in the Northern Territory. Centrebet can boast to being Australia’s first licensed bookmaker way back in 1992. 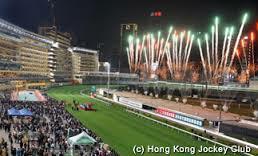 Four years later they began offering online betting making them the first to do so in the Southern Hemisphere. SportsOdds bought up Centrebet in 2003. By 2011 the bookmaker was sold to Sportingbet who turned around and sold out to William Hill in 2013. Due to gaming laws in Australian only sports events and racing events are offered to Aussie’s. However, what they do offer is done well and it has made them one of the most popular bookmakers in Oz. 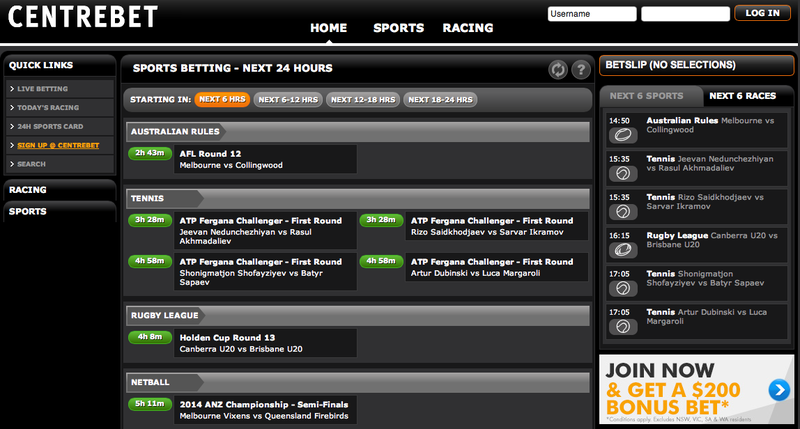 Let’s review Centrebet and explore what they have to offer Australian Punters. Deposit Methods for Aussies – Visa & MasterCard, bank transfer, Skrill (Moneybookers), Paypal, BPAY, and POLi. Withdrawal Methods for Aussies – BPAY, Bank transfer, Paypal, and Skrill (Moneybookers). Minimum Deposit – Members using Bank transfer don’t have a minimum deposit. $1 minimum for POLi, $5 for Visa & MasterCard, $30 for Paypal and Skrill (Moneybookers). Maximum Payout – $500,000 for bets over the phone. $50,000 via the Internet. Multiple bets are limited to 2,500 x the bet. 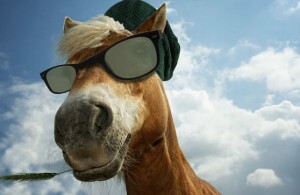 If you are using the Pick Your Own Field bet in horse racing the maximum payout is $20,000. That amount drops to $10,000 for Harness Racing or Greyhound Racing events. 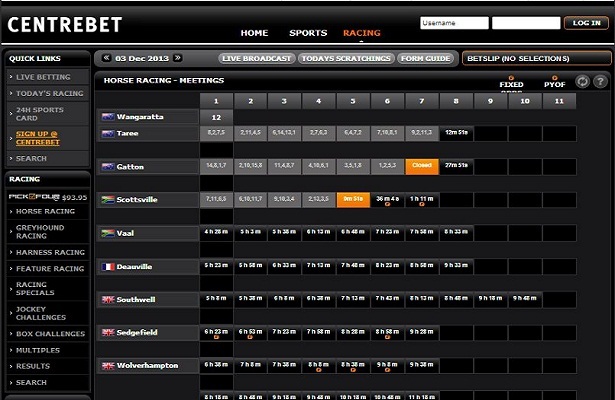 Minimum bet – Online you must bet at least $1, however it is only $0.25 for Centrebet Exotics bets. If you are phoning in Centreet Exotic bets the minimum is $50.00. Currency – Since this version of Centrebet is for Aussie’s only the currency is the AUD. Mobile Betting Apps – Yes, you can download betting apps for your iPhone, iPad, Android or Smartphone. Identify Verification – Before an Aussie can withdraw any funds they must prove their identity which can be accomplished at the Australian Post Office or Online. Promotions for new members – Centrebet will match new members first bet up to $200, however this does not apply to Aussie’s living in Western Australia, South Australia and Victoria. Click to check if you are eligible. Contact Information – 1 800 132 946 for betting. Horse Racing Guides – Free colour racing guide available for punters. Horse Racing Featured – CentreBest, CentreOdds, Best Fluc, CentreTop, CentreMid, Sparting Price, Fixed Odds, and Jockey Challenge. The website was revamped in 2012 and has gotten better ever since. They offer a wide variety of sports and racing events for Aussie’s. 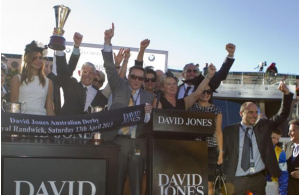 It could be that Australia’s oldest bookmaker may actually be the best. 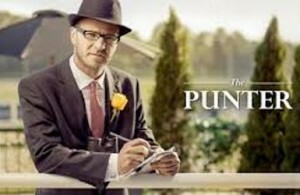 Aussie Punters would fair well to pay Centrebet a visit for all of their Horse Racing and Sporting Events in the future.